Here at Taste the Cracklin, we aim to provide the best quality hog roast catering service, anywhere in the country. It’s very much a team effort and we couldn’t do it without all the fantastic staff we have working here. Over the years, the team have catered for thousands of events, all across the country from large corporate parties and high-class weddings through to small back garden birthday parties. Put simply, we can and will cater for any number of guests, and provide a range of menu options to suit. We are where we are today, all thanks to all of our great customers across the years who have all contributed to our growing reputation thanks to their kind words and valued custom. Many of whom have become repeat customers. It’s no coincidence that we are now one of the nation’s largest catering companies, specialising in hog roast catering. There’s no need to worry about catchment areas, or service areas with Taste the Cracklin. We have a number of depots located across the UK to ensure we’re able to reach every corner of the UK. Why do people love Hog Roasts so much? The humble hog roast as a phenomenon of food preparation dates back over thousands of years. There is in our opinion, no finer way to cook any meat, be it hog, lamb, beef or chicken. There is no other way of making such fantastic and juicy cuts of meat than when they’re slow cooked, with flames on a spit. Thus, when it comes to us providing the food at your hog roast catered event, you are eating a part of history, and a part of history that we feel can teach the future a lesson. Throughout the hog roasting process, the hogs’ natural juices self-baste the animal, emitting unique smell that will be sure to get your guests bellies rumbling in anticipation, as they wait on expectantly to be able to get tucked into the feast that we can lay on for them. We never fail to notice how the aromas from a hog roast drift leisurely around the area of a party, silkily coating the venue with a slick of anticipatory delirium. Third in line is the sound of the crackling being lifted from the carcass as a giant shelf of taste inspiring proportions. Hear the crunch and crispy crack as our chefs cut up the steaming crackling into easy to manage strips and display them in a manner befitting to the splendour of the hog which is now ready to be carved onto the gleaming silver carving tray beneath its hulking, steaming mass. The piece de resistance comes in the form of the taste. We often still find many people who have never tried it before, and some who have only tried it from other, less competent hog roast providers. The smiles on their faces are proof enough that we’ve converted a few more people to the joys, taste and smell of a tasty hog roast meal. The taste we engineer, via the natural facilitation of the pig, is simply exquisite. The meat is so soft and tender, yet infused with a natural heat that keeps the basting juices flowing around one’s mouth so surreptitiously well. 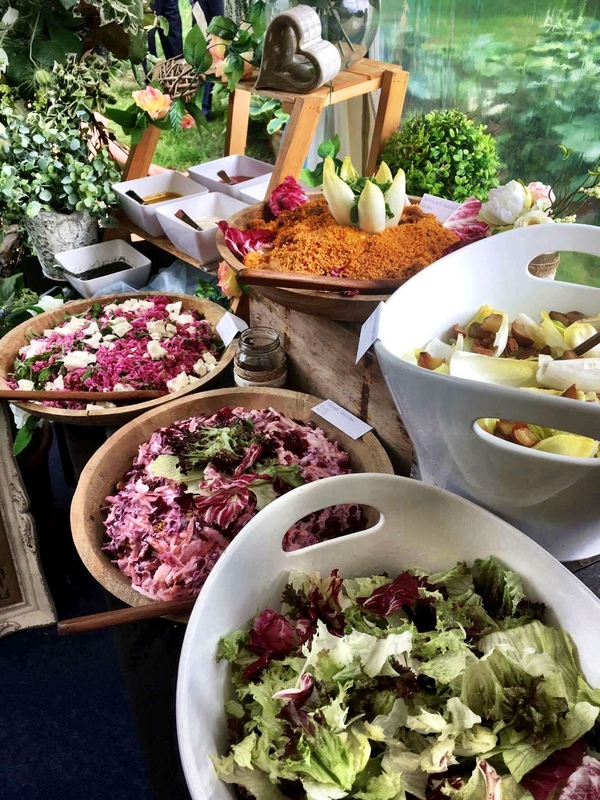 Combined with our side dishes and vegetable accompaniments, a hog roast from Hog Roast Catered Events is like nothing you’ve ever had before. Of course, if pork just isn’t your thing, then fear not! We have great relationships with some of the finest suppliers of meats across the UK. Where possible, we always try and source all of our produce from local farms. The spring lamb option, where whole, fresh and lightly seasoned spring lambs are spitted and then roasted along with fresh rosemary have been one of the most successful menu options available to date. 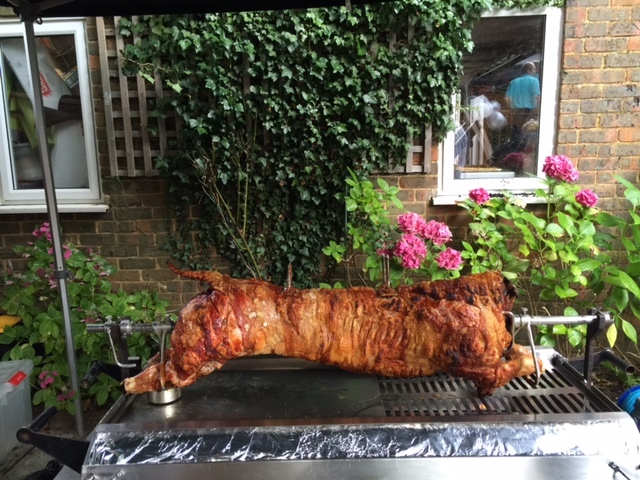 A real hit with many of our hog roast catering customers, the true beauty of lamb as an edible meat is easy to discern when observed at one of our events; as the self-basting capabilities of lamb combined with the hog roasts natural marbling of fat help to re-define scrumptious. Our hog roast machines are also very capable of cooking up spitted chickens, beef and other meats according to your tastes and your desires. 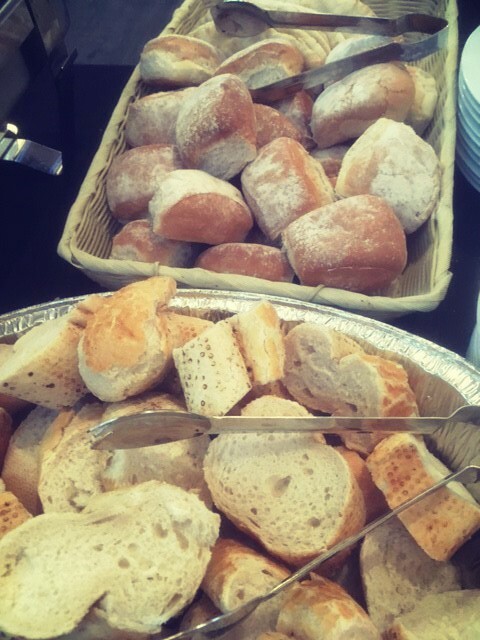 If any of your guests require a vegetarian option, we can provide those too, so nobody is going to be left out.